Nowadays, we find multiple users on a single PC. This is extremely handy in corporate enterprises and even domestic computers sometimes. With that in mind, switching from one user to another can sometimes be a tiring task. For that, Microsoft has its own Fast User Switch functionality which enables us to Switch Users in Windows 10. In this article, we will be discussing all regarding Switching Users, the Fast User Option and how to enable it. Switch to the next heading and read on to find How to Switch Users in Windows 10. 1 What is the Fast User Switch Option? What is the Fast User Switch Option? 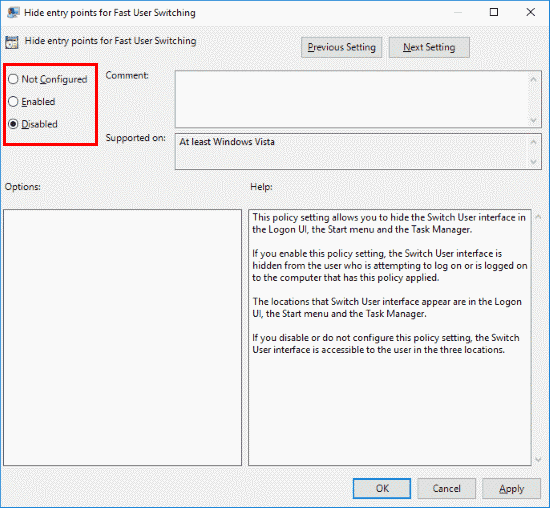 The Fast User Switch feature is present in Windows 10 and basically will allow a user to login to a PC while another user’s instance keeps running- all the applications and processes. In this way, multiple users can work on a single computer without interfering with each other. Now, expand- Local Computer Policy, Computer Configuration, Logon, System, Administrative Templates. If you wish to switch on the Fast User Switch, click Disabled. That’s it! 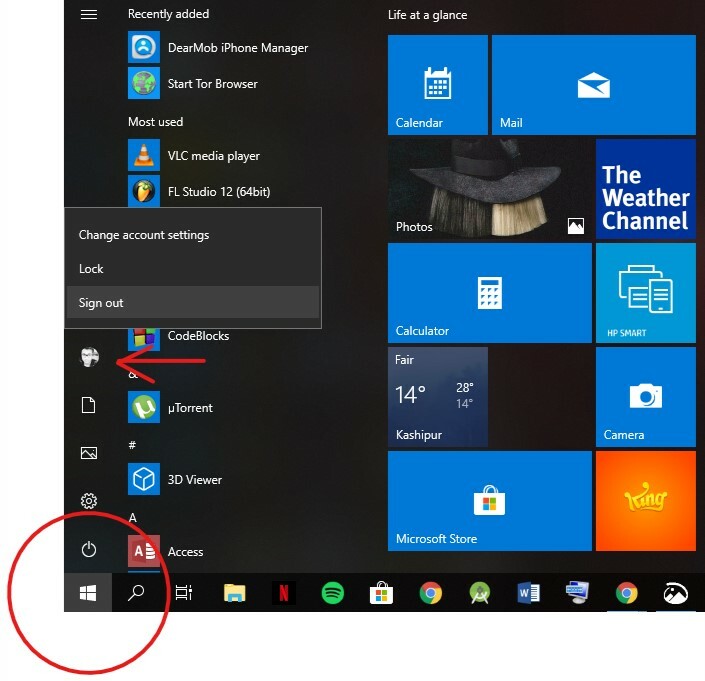 The Fast User Switch Option should now be enabled in your Windows 10 PC. Find the value HideFastUserSwitching. If it is not present, create one by Right Clicking the System Folder, selecting New DWORD 32-bit value and then just type HideFastUserSwitching. Make sure the value of HideFastUserSwitching is 0 if you want to enable Fast User Switching. And we’re done! Using these two methods Fast User Switching will definitely get enabled on your Windows PC. Alternatively, you can also download the ‘.BAT’ file from here, and just run it as administrator and it applies the required registry changes. 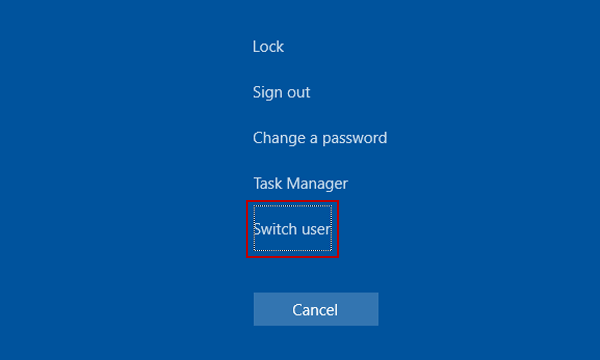 Now that you’ve seen how to easily enable Fast Switch User option in Windows, let us look at the methods on how to actually switch between different users, since that is, after all the main purpose. There are primarily three methods that we can use to Switch Users in Windows, and we will be going through all of them in detail. Let’s begin! Choose the different User to be logged in. And then you’ll be very easily logged into the other user, and you can use it as you please. 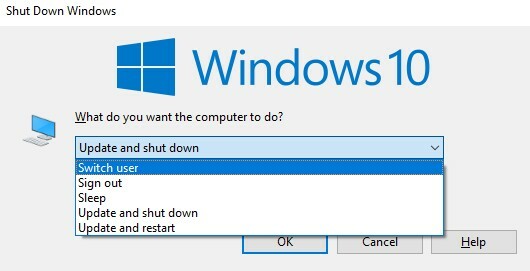 This is highly convenient, all thanks to the Fast User Switch option in Windows 10. In the Dialog box that comes, select the drop-down menu and click on Switch User. You will now be able to easily switch to a different user in the Windows PC. And you’re done! The Switch User Screen will now appear where you can conveniently switch to whichever user you desire. We hope that by reading this article you were able to learn about the Fast User Switch Option and how to enable it easily. 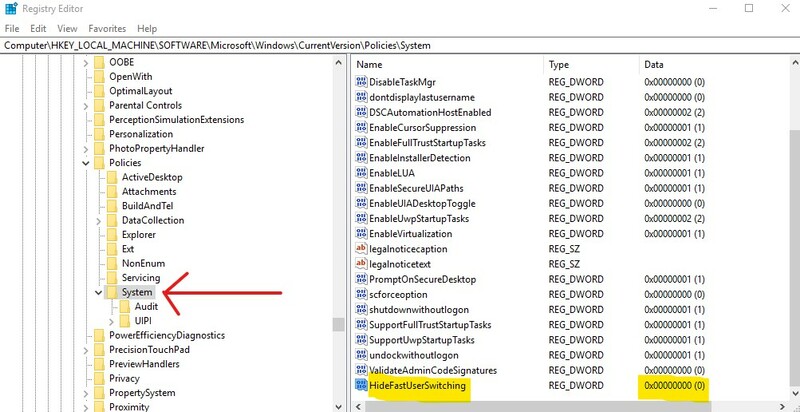 Additionally, we also gave detailed methods which you can use to Switch Users in Windows. Fast User Switch is very useful these days, as in today’s world, multiple users being able to use the same PC without the other’s instance getting tampered with enhances productivity. If you have any further queries regarding the methods mentioned above or regarding the Fast User Switch Option in Windows, you can drop us a comment below and we will do our best to get back to you with a relevant answer.